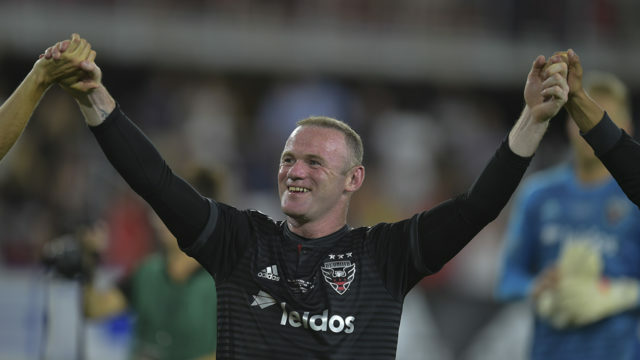 England all-time goals leader Wayne Rooney made a triumphant Major League Soccer debut as a reserve Saturday, assisting on a goal in DC United’s 3-1 rout of Vancouver. The 32-year-old striker, the star attraction in the opening match for United’s new 20,000-seat stadium, entered in the 58th minute and helped set up Paul Arriola’s goals in the 69th and 80th minutes after Yamil Asad provided United a half-time lead. 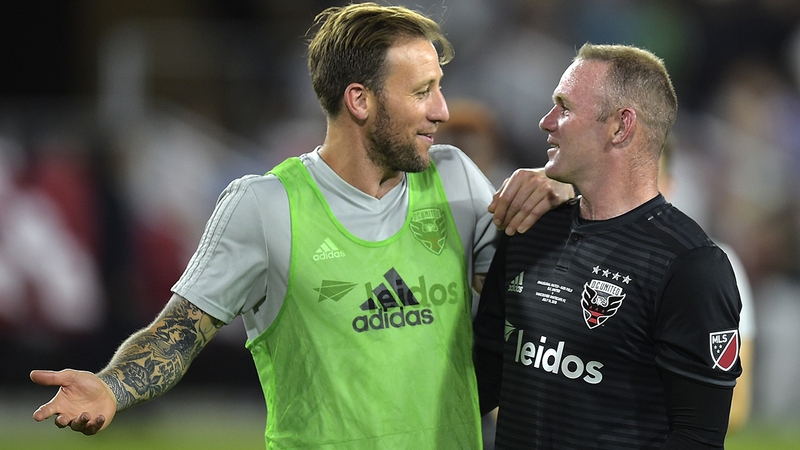 A Rooney buzz was felt throughout the grounds with dozens of fans sporting his number 9 United jersey and a crowd flanking the entry tunnel greeting him with a huge cheer as DC took the field for a pre-game workout. United opened the scoring in the 27th minute when Argentine midfielder Asad blasted a right-footed shot from just outside the top of the penalty area into the upper right corner of the goal. Asad raced to the sidelines to celebrate and the second player to hug him was Rooney, who had been exercising with other reserves when the goal was scored. Vancouver’s Kei Kamara headed the ball off the crossbar in the 32nd minute and Whitecaps defender Jose Aja’s header rolled outside the right post in the 43rd minute as United kept a 1-0 edge at half-time. Ten minutes into the second half, fans began chanting “We want Rooney” and moments later the Englishman got the call from the warmup group for some final advice from United coach Ben Olsen before entering in place of forward Darren Mattocks to an ovation from the crowd of 20,504. In the 69th minute, Rooney was involved in a series of passes that led to United’s second goal, an Arriola blast into the bottom left corner past Whitecaps goaltender Brian Rowe. Rooney fired a dangerous header just inside the left post in the 79th minute that was fisted away by Rowe. But moments later, Rooney was on the attack again and fired an outlet pass to American midfielder Arriola, who blasted a shot from outside the penalty area into the bottom left corner of the net. Vancouver avoided a shutout on Alphonso Davies’ goal in the final seconds of stoppage time. United, which has won four MLS titles but none since 2004, rose from the bottom of the league to second worst with a third win and 14 points from 15 matches.